After all these articles, two things should become apparent: Cosplay is a lot of fun and it can be a lot of work. We’ve seen cosplayers balance school, jobs, martial arts and even the pursuit of Medical or Law Degrees. 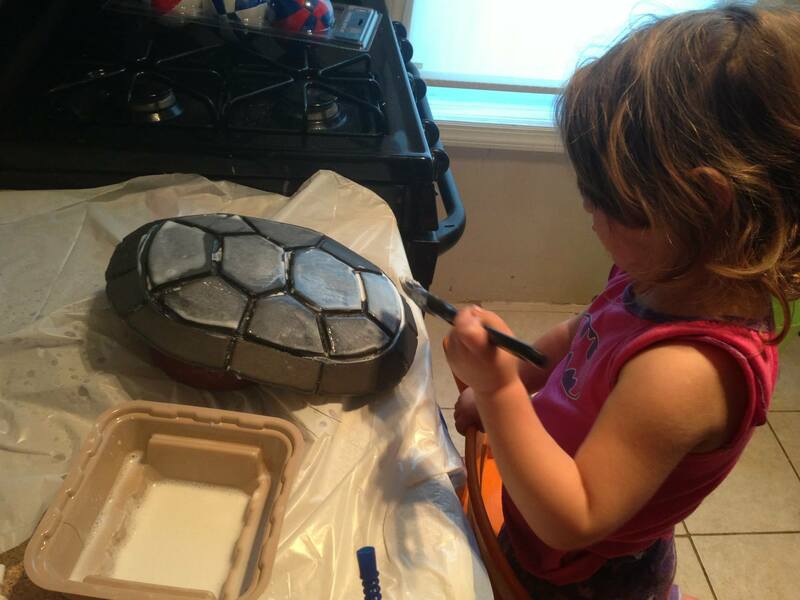 Though there is one thing we haven’t heard yet: Can you still cosplay while being a parent? Considering all the work that goes into parenting, it might be a little difficult – even more so if the child is very young. Would they like the costume? What if they broke things? Could the complexities of costumes hinder the way you watched over them at a Convention? These are all extremely important questions someone must ask themselves when CWC (Cosplaying With Child). So in honor of Father’s Day, we’re taking a break from our ‘World Tour Of Cosplay’ to meet a man who didn’t start cosplaying until his daughter came into his life. Call him ‘Cosplayer Of The Month’ or ‘Father of the Year’. Either way, you can call him Sam Gras: The Cosplay Dad. Even before Sam knew what Cosplay was, he loved making costumes. Whether for school plays or elaborate Halloween costumes, he just loved dressing up. 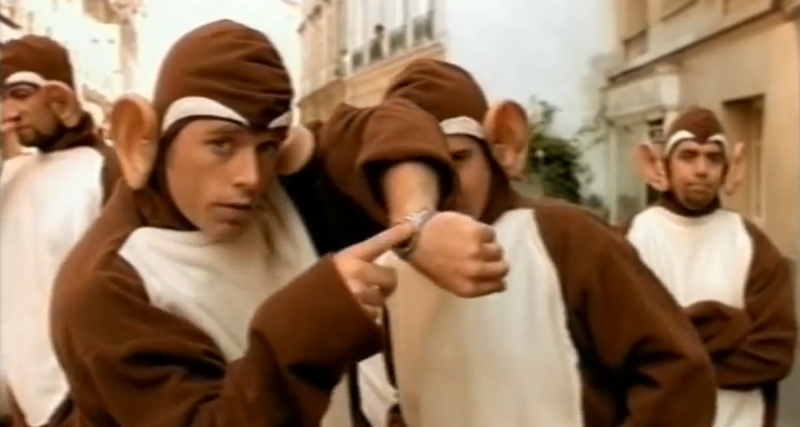 As for his first costume, that story takes us back to a late-90s craze featuring a little band known as … The Bloodhound Gang! A few weeks after he was finished, Sam and a couple of his friends actually appeared on MTV – back when it played music – to support the band. Fast forward several months later and Sam actually found himself on stage with The Bloodhound Gang during a live performance – in one of the original monkey suits. Though despite all this creativity and hilariously awesome tales, Sam doesn’t define any of this as Cosplay – at least not when it relates to him. As far as he’s concerned, there’s a difference between a simple Halloween costume and what constitutes as Cosplay. That difference is time and effort. Whether building from scratch or piecing together, Cosplay is all about the time you spend. ‘Hunting down the perfect pieces, modifying what you have already, and investing time and effort into making everything come together one way or another is what Cosplay is all about’. And for Sam, the drive to take on the elaborateness of Cosplay didn’t begin until almost 10 years later, when he took his daughter Tziona (Tiz for short) to her first Comic Con as a baby. Tiz is the reason I got into Cosplay. I took her to her first Comic-Con when she was a baby, and had a drawing commissioned of her as Robin with Batman. The following year she was just starting to talk and she would look at the picture and say “Tziona Robin, Daddy Batman”. Since then, Tiz has been Sam’s Cosplay partner in crime-fighting! In fact, Sam has yet to build a solo costume for himself. Whatever costumes he attempts, he makes sure to always talk with Tiz before he starts. As you can imagine, doing incredibly complex cosplays are hard with a child because first and foremost, they have to be safe and have fun. And this brings us to possibly Sam’s greatest costume – and how I first met the Cosplay Dad. Back in 2013, Sam and I met during the New York Comic Con Costume Championships where he took home 1st Place for most difficult costume, but wait! Didn’t I just say ‘incredibly complex cosplays are hard to do with a child‘? Yes, but that doesn’t mean they’re impossible. Sam, Tiz and a few of his friends worked tirelessly to create a one of a kind four-in-one Transformers Cosplay: Soundwave and his trusted minions Rumble, Laserbeak and Ravage. Interestingly though, this costume almost never happened. With all this planning in mind – and the proper time to do it in – Sam’s most complex costume ironically also became his most ideal costume. In order to fulfill his first Rule, Sam decided to incorporate a back harness and built the costume around that – this way Tiz would be safe. And so that Tiz could be excited as well, Sam gave Tiz’s Rumble costume LEDs that she could control herself. As for Rules 2 & 3, Sam made sure the costume had easily removable parts. Though the most impressive component came in response to Rule #4. So that he wouldn’t overheat, Sam installed 7 fans inside the mighty Soundwave costume! Despite all the work that had to be done on this costume, it was actually just as much fun to make as it was wear. He remembers all the late nights he worked on it and how his friends helped him with problem solving and even wiring. “Somehow it all came together on the final day” and it is still glorious! It’s Sam’s astounding Cosplays and dedication to his daughter that made him the clear choice for this month’s feature. Anyone who follows him on Facebook knows just how much his daughter means to him; and without her, he probably wouldn’t be doing what he is today. In fact, Sam’s latest costume – Mr. Freeze – wouldn’t have come together without Tiz. After Sam had found a suitable pair of goggles, it was Tiz who suggested that he should frost them over and add lights. Though it’s not just Sam and Tiz that Cosplay brings together. There is still one more hero out there: Tiz’s mom Sara! When Sam isn’t cosplaying he’s either building furniture, working on his car or even making custom toys. In fact, long time readers of this site might remember him from last year when he submitted his Lego Batmobile Project to LEGO. So whatever The Cosplay Dad has planned next, you know it’ll be creative! Though if Tiz has her way – and she probably will – then the next tag-team costume will involve some more Bat-action! If you want to stay up to date with The Cosplay Dad’s latest adventures, be sure to check him out on Facebook! Whatever is coming next, it’s sure to be as awesome as it is heartwarming! So once again, thank you to Sam for sitting down with us, and be sure to stay tuned here for more awesome stuff – Same Panda Time, Same Panda Station Site!